These guys are love <3 Especially with the recent anime episodes reminding me of their story. ahhhh if this one has Asuma smiling that be nice too! But I don't see Ino doing much when she's with them in a mission. 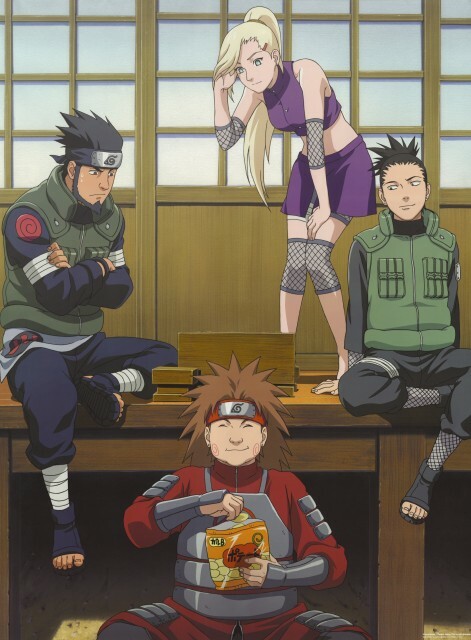 Putting Team 7 aside, this is one of my favorite teams! ^.^ It's gotta be Shikamaru, he's too great to be true! The scan is awesome. Thanks for sharing! A really nice picture of this team, barely see these dudes. Another nice team 10 shot.